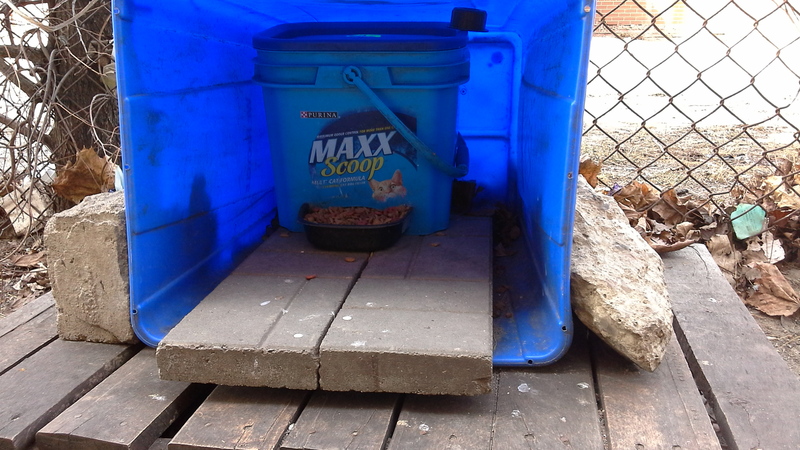 WINTER WEATHER TIPS to help Community Cats (from Alley Cat Allies): click here. 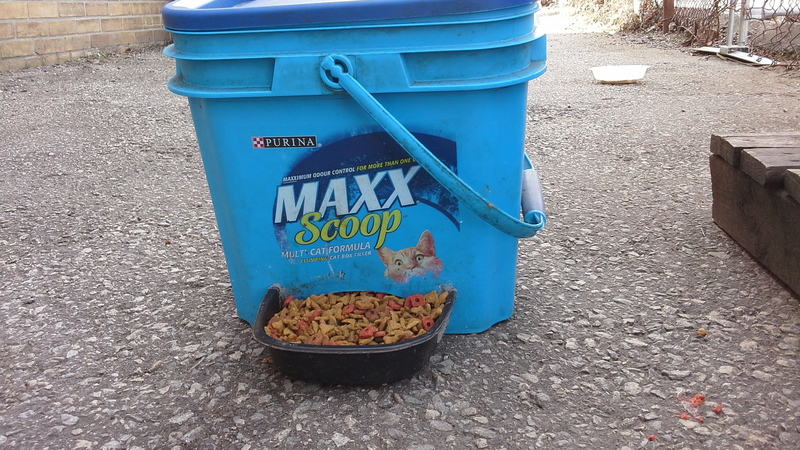 Click here for photos of numerous different samples of easy to make feeding stations. 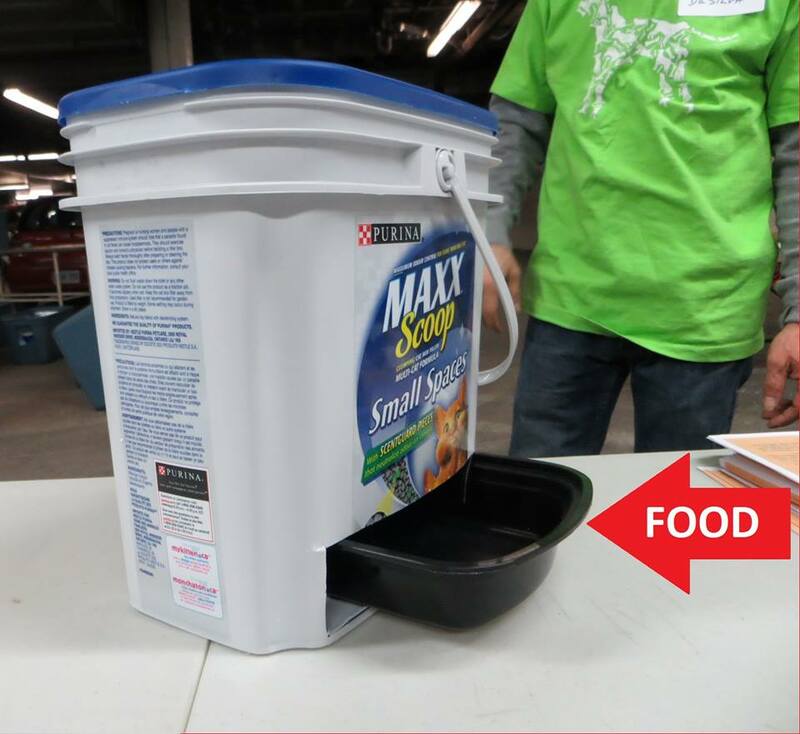 Click here for the google results of DOZENS of different types (from easy to more complex) feeding stations. Using a utility knife cut an opening into the side of a large plastic bin (hint: use a blow dryer to soften the plastic before cutting into it). Use the piece of plastic you cut out (see where the arrows are pointing) to create an extra ‘awning’ by securing the piece of plastic (in this example it’s with a screw) above the opening you’ve created on the bin. 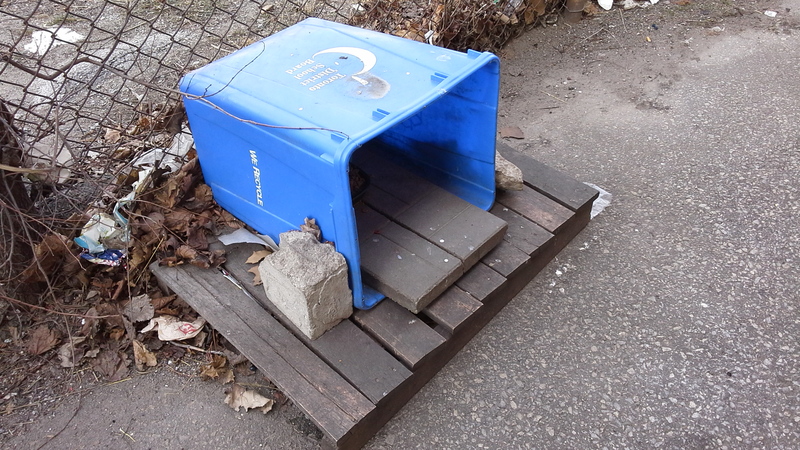 Thoroughly clean out a plastic litter container (like the one pictured here). Use a utility knife cut a slit at the bottom (HINT: use a blow dryer to heat up the plastic – it makes the plastic easier to cut!). Slide in a plastic take out dish (like the one below) in the cut out area. 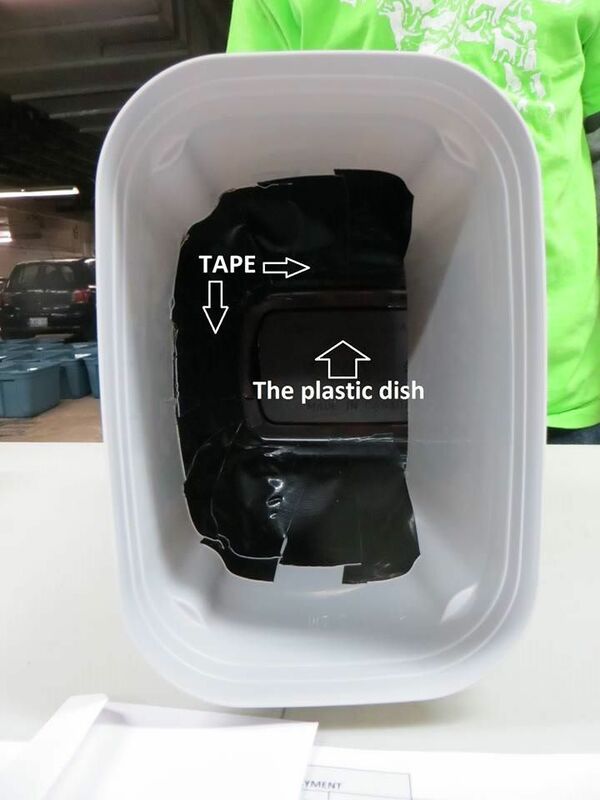 Tape the plastic take out dish to the inside of the litter container. 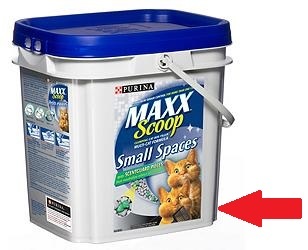 Then fill the container with kibble and put the lid back on. Voila! Instant kibble dispenser!